Techbelt’s extensive range of PTFE coated glass & kevlar materials covers a wide range of applications. Our materials are technically unique as demonstrated by their resistance to extremes of temperature, low co efficient of friction, FDA compliance and excellent die electric & insulation properties. Markets supplied include electrical insulation, heat sealing, screen printing, chemical processing, electrical insulation, automotive, textiles and aerospace. Our high performance premium quality materials ensure that you receive the most cost effective solution whatever you requirement. Our range comprises of many variations of surfaces from textured to smooth depending on the application. Materials with a more pronounced weave pattern tend to be used where an impression needs to be created like the rubber backing of a carpet tile. Smoother surfaced products can be found where a high level of release and a smooth impression is required. 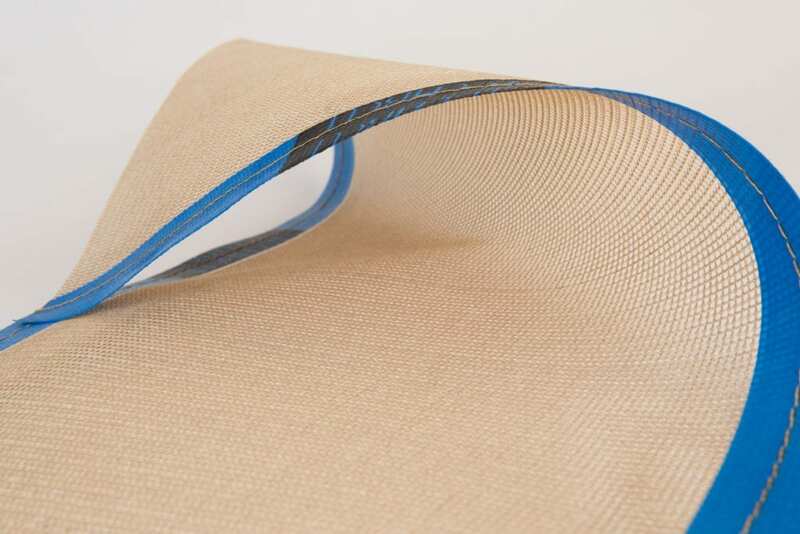 Our specially developed Carbon range allow our materials to be less prone to generating static electricity through contact motion on its surface and is particularly apparent when used as a conveyor belt. This however doesn’t necessarily mean the belt will dissipate electricity passed onto its surface from another means installation.